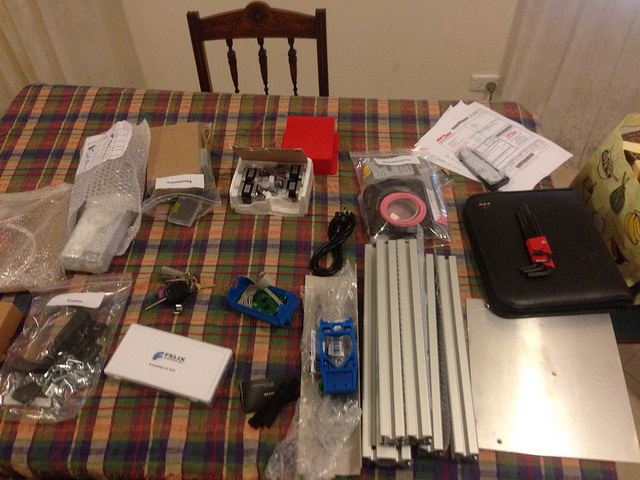 Last July I ordered and received my Felix V2 3D Printer Kit. I must admit, I like absolutely LOVE having a 3D Printer. Where I live, I have very limited space and hence no workshop, this printer has given me the freedom to make things for my projects right on my desktop. One thing I learnt….don’t leave anything that’s printed in PLA in the car on a warm Aussie day else this can happen…..
After the Curtin Robofair last year, we, swmakers, were invited to come and set up a stall, the next day I had some training in Perth for work, well woe was me!!! I didn’t even think about the printer when I left it in the car. 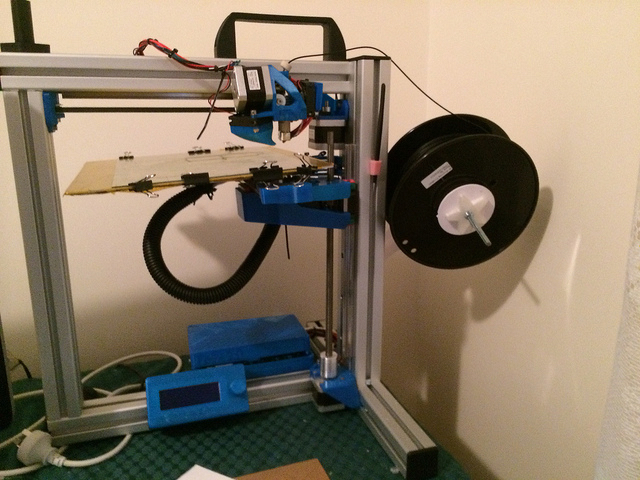 V2 of the felix had printed parts which are PLA, sooooo low melting point and rendered my printer inoperable. Thankfully FelixPrinters came to the rescue, where they offered to send me a complete set of the new V3 injection moulded parts for only the cost of postage…fantastic support thanks guys!!! Happily I’m now running a Felix V3 and have since added a second extruder, my slicer of choice is Simplify3D and Kisslicer pro a close second, both fantastic and much faster than the other open source alternatives. I’ve currently got some interesting projects on the go, one being a printed Mini-Quad, so stay tuned.